We are back and look forward to working with you. We love art at designscope, so during the break we headed out to lap up some of the amazing exhibitions on offer this summer. If you get a chance head out & enjoy the amazing exhibitions on offer! Morgan headed over to Bendigo to take a look at the Frida Kahlo drawings and was struck by the accompanying show: Gothic Beauty. 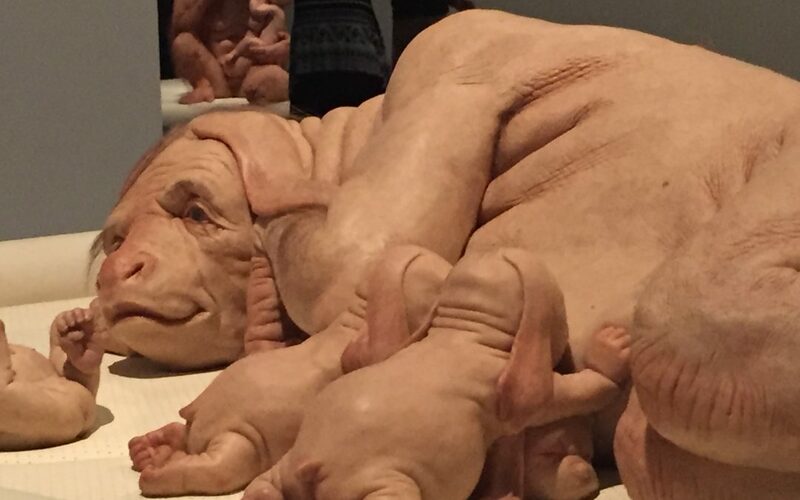 Sarah took a visit over to the Patricia Piccinini / Joy Hester show at Tarrawarra Estate! Having studied both artists at Uni she was keen to take a look at both artists work in the flesh. The dual theme of love an intimacy are explored with over 50 works on display including new major and rarely-seen works. The incredible spectrum of human and non-human relationships, connections between humans and animals and intimate objects are all being explored throughout the show. This group show limits all entrants to works no larger than 50cm x 50cm. Kim took the plunge and submitted one of her floating works from HeadON 2018… “I haven’t been part of a Melbourne show for a few years now so thought it was time to get amongst it. There was a great variety of artists from recent graduates to emerging and established with over 500 works on display, everything from paintings, drawings, collage and photographic works.